Malaga city is a fantastic blend of both modern and traditional, from the 11th century Alcazaba Fortress standing proud above the city; to the impressive new marina complete with its trendy bars, restaurants and shops. Whatever you like to do, Malaga has something for everyone and all ages, read on for a complete guide to some of the best things to see and do in the cosmopolitan capital of the Costa del Sol. This is probably the most famous street in Malaga and is full of fantastic clothes, shoe and boutique style shops, some high street and some designer with prices to match. 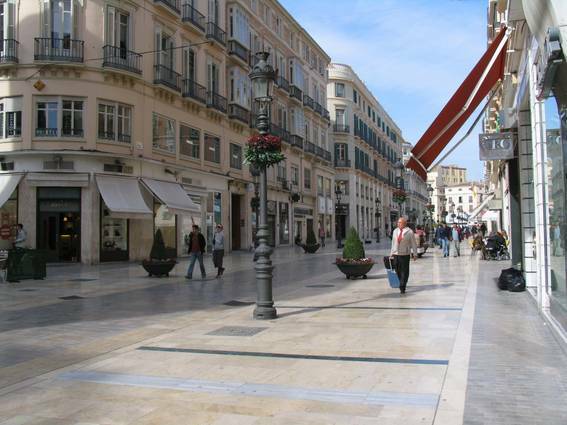 The main pedestrian walkway takes you from Avenida Principal to the old town and you know you have arrived in Calle Larios because of the beautiful marble pavement and stunning architecture, for the main shopping drag, the place is immaculate. Even if you don’t want to buy, have a wander down Calle Larios anyway for a spot of window shopping as there are plenty of other things to see including many of the talented street performers and the lovely square at the end where a huge Christmas tree stands from 1st December. Take a walk down one of the many side streets and on every corner you will find an individual little shop or a cosy bar offering some delicious Spanish delicacies. 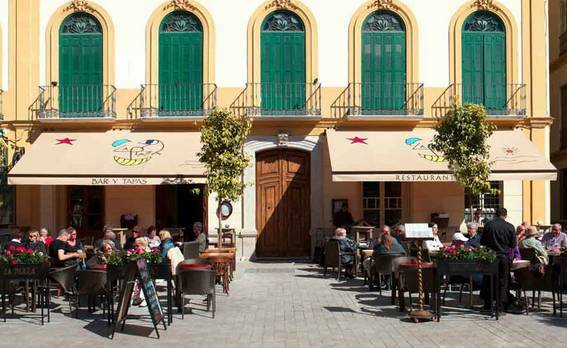 When you are tired of shopping grab a table at one of the many pavement cafes and watch the mix of tourists and locals go about their day while enjoying a cafe con leche or a glass of local vino. During Feria time, Calle Larios is the place to be, the street is decorated in traditional Andalucian style and the Flamenco clad women and children parade the street in their hundreds while live bands perform and craft stalls line the street. 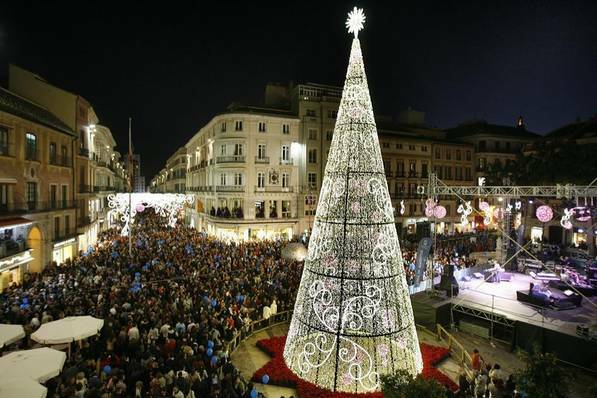 The Malaga Christmas lights which are turned on around 30th November on Calle Larios show the street its true glory, people come from miles around to see the annual lights which are different every year and to take in the magical atmosphere. If you like to have shops on your doorstep, then book a room in the Room Mate Larios, located on Calle Larios you are literally a stones throw from the shops and many of the other attractions Malaga has to offer are just a few minutes walk. The beauty about this city is that everything is pretty much in walking distance and the 4 star Hotel Room Mate Larios is a great base. It does a great breakfast and the roof top terrace offers lovely views of the Malaga skyline and the cathedral in the distance. Malaga according to the authorities has 15 beaches within its city, none of which are going to win any ‘best beaches’ awards but great city beaches all the same. 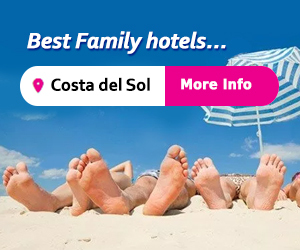 The best is Playa de la Malagueta which is around 1.3 km long and is just a few minutes walk from the city centre, it has loads of reasonably priced places to eat and drink along the beach and the ‘chiringuitos’ (beach restaurants) offer some excellent locally caught seafood. A couple of beds and a parasol are just €8 or if you prefer to lie on the sand or one of the grass areas on your towel, there is plenty of natural shade under the palm trees. The beach is good for kids as the sea is never rough due to the breakwater and there's a good kids play area too. Even if you come out of season, its a nice place to have a stroll and a coffee and enjoy the views of the mountains in the distance. 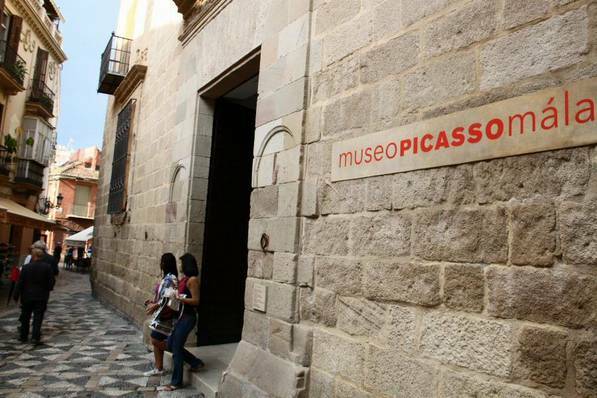 The museum of Pablo Picasso is in a beautiful 16th century building called ‘Palacio de Buenavista’ just a few minutes walk from the cathedral. 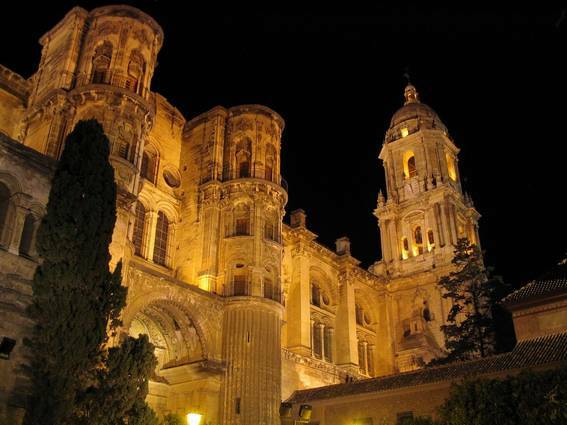 Malaga was Picasso’s birth place and the museum houses over 200 pieces of his revolutionary art work donated by Picasso's family members as well as some temporary exhibits of one of the greatest artists of the 20th century. The €7 entrance fee can also include a guided tour if you wish, mostly in Spanish but there is at least 1 tour a week in English. Before you go inside just take a few minutes to look at the fabulous intricate details of Malaga’s 15th century cathedral walls. Although not the oldest of its kind as Malaga belonged to the moors until the 1400’s it is still beautifully ornate and easy to see why locals are so proud to have such an original cathedral. Free to enter although if you pay €5 you get entrance into the museum too. the little square opposite the cathedral is a wonderful place to sit and gaze up at the architecture while enjoying a drink or a bit to eat in one of the cafes here. Simply a must-see, this 14th century building is often compared less favorably to the Alhambra in nearby Granada city. It is certainly not as big or grand as the Alhambra. 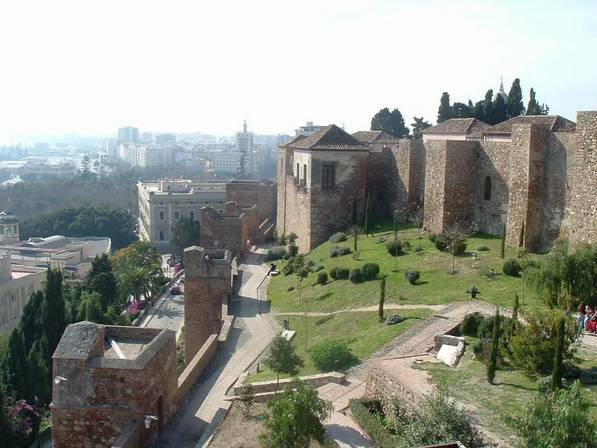 However the Gibralfaro and Alcazaba are the most lovingly preserved Fortresses in Spain with the best views of the city, out to sea and to the mountains beyond. There are beautiful little gardens and fountains around and inside and you can take a lovely stroll along the wall from the Castle to the fortress. Admission is extremely cheap at €2.20 and on Sundays after 2pm it is free. In the pretty Plaza de Merced just a stones throw from the Picasso Museum, La Plaza is a perfect place to while away a couple of hours. They open from 10am serving breakfast and go right through til 2am, take in the atmosphere of the city and the wonderful architecture all around you including views of the cathedral on the out door patio on a warm day or balmy summers evening. The tapas menu ‘with a twist’ is what gets people excited about La Plaza and it will not disappoint, loads of choice for vegetarians and the portions are very generous for ‘tapas’. 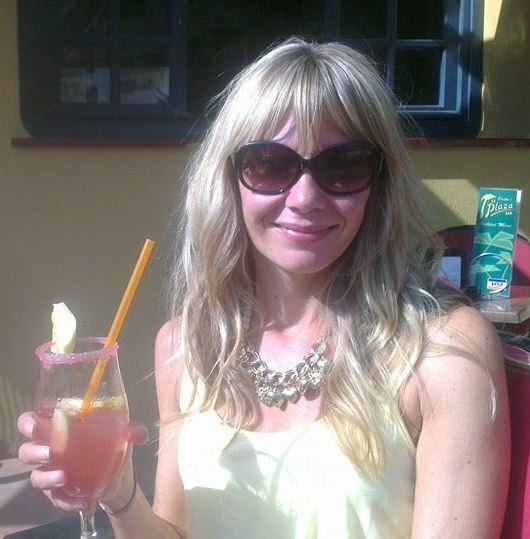 The house wine is excellent, the staff are friendly, and a lovely ambiance inside or out make La Plaza an excellent choice for a meal any time of the day or night or if its just a drink you’re after, their bar area is a must, cosy and inviting in winter . Children are very welcome here too, I shamefully had my 2 year old out to dinner with me at la Plaza until after midnight and the staff were more than accommodating. El Pimpi is an institution in Malaga, one of the oldest bars in the city. 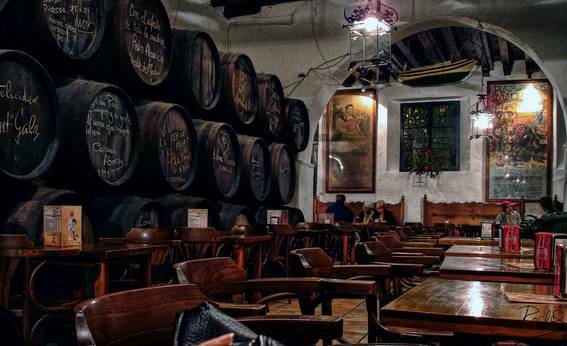 Recently extended with an addition of a wine bar but the jewel in the crown here is the traditional old Bodega with its fascinating architecture, decorated with hundreds of wine barrels, some with signatures of past famous customers of El Pimpi. If you want to spend your afternoon or evening feeling like one of the locals come to El Pimpi order a few tapas and definitely try the famous sweet Malaga wine. 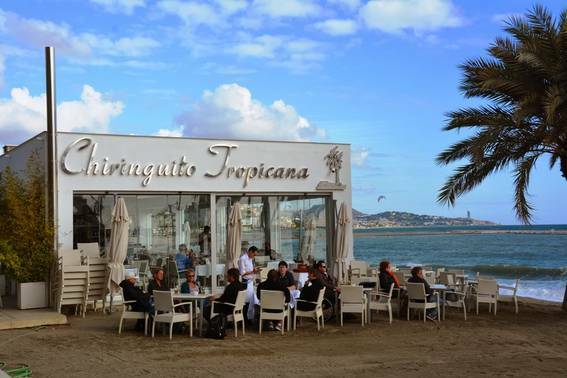 Malaga city has a great nightlife and unlike other coastal towns nearby it is busy all year round and offers a seriously stylish choice of bars and clubs. Bear in mind that clubs don’t really start getting busy until around 12am and go on until 6am, locals buy alcohol from shops and drink in controlled zones called ‘botellodromas' before heading to the club at 12 or 1am. 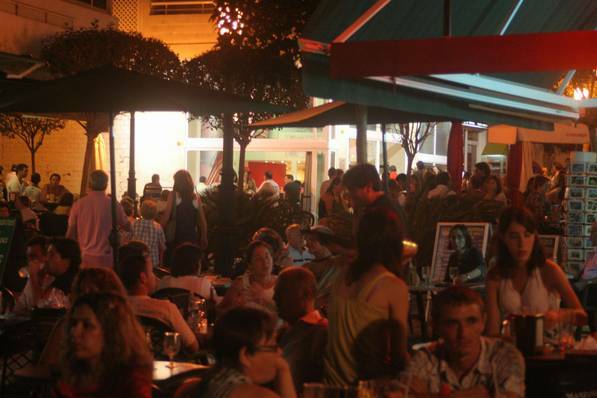 That’s not to say the bars aren't busy, if fact the opposite, bars are always buzzing from early evening until closing and you can take your pick in Malaga from a live band at the small but very popular ZZ Pub (http://www.zzpub.es/). Jazz music at El Cantor de Jazz on Calle Lazcarno, fantastic live jazz every Thursday and for a really cool vibe which attracts students and a younger crowd. Try the ‘Weekend bar’ in Plaza de Merced, with its dark and moody interior and pumping sound system, Weekend is a favorite among the younger Malaguenans. Liceo is one of the coolest hang outs in Malaga, a converted old mansion with all of its original features adding to the charm and intrigue of the place. A bar area outside and on the ground floor as well as 2 extra rooms at the back of the club with additional bars, then a staircase up to a mezzanine balcony where you can look down and see the action. With pumping house music until the early hours, Liceo is not for the feint-hearted. Whenever I go to a new city I make a point of buying a ticket for the Hop-on Hop-off bus, almost every city has them and for good reason. 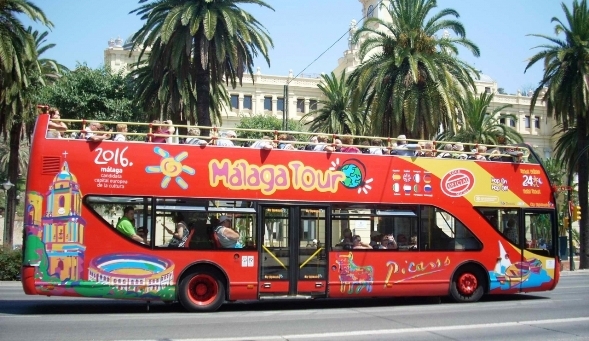 Malaga is no exception, grab a seat on the top deck to get the best view, whilst giving you an excellent grounding of the city and a feel for what you want to explore in more detail. There are two routes, red and green line and your ticket will give you 24 hour access to both, see the beautiful Botanical Gardens, Picasso's birthplace and learn about why the cathedral is called ‘La Manguita' (the one armed lady). I have collaborated with a respected ticket agency to bring you a great price on tickets for the Hop-On Hop-Off bus. Simply choose your dates and either download the app or receive the tickets by e-mail and SMS, no need to print anything. For a taste of nightlife in nearby Puerto Banus, check out our article on the hippest places to go ranging from the famous beach parties to the best club on the port. My husband and I will be in Malaga for 6 days Sept 24. 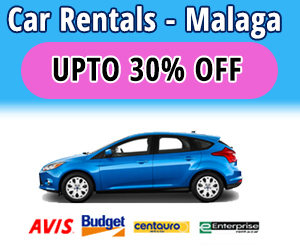 We will have a car and want to see,the best Malaga has to offer. 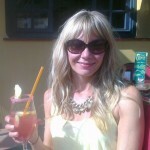 Flamenco, food, local treasures. Hi Cindy. You know if its your first time in Malaga I often say to my readers that the first thing you can do to get to know the city better is book a tapas walking or cycle tour with a good local company. They are really fun and will give you a great insight into the city and what you want to do from that point on,I know of two very good and reputable companies you could speak with (no obligation) to get an idea of what would be involved.